The problems of inequality are complex. Of all the things that could change the fate of children in poorer nations, however, one stands out: education. In America and Europe, nearly 90 percent of children at least finish secondary school. In Mexico, only 37 percent manage to do so. In most of Latin America and Africa, nations do not even bother to track this number, focusing instead on boosting the number of children finishing elementary or primary school. In rich and poor nations, the better educated you are, the more you earn and the higher will be the standard of living you can give to your own children. A technical school graduate in Singapore, for example, earns 3.7 times more than a graduate of secondary school, and someone with a university diploma out-earns that high school graduate by 5.5 times. Improving education is a matter of money, culture and commitment. However, increasingly, it is also about technology. America and Europe are part of the Connected World, where schools are making the Internet a core part of classroom education and homework. Mexico, Peru and much of sub-Saharan Africa are in the Unconnected World and this is where the majority of the world’s citizens still live — getting Internet into most schools there is a distant dream. That dream, however, is coming true in more and more locations, thanks to the hard work of governments, not-for-profits and companies — and to satellite technology. The village of Qocha Moqo is where thousands of schools have been connected as part of government-funded progams over the past few years. This village is located in the Andes Mountains of Peru 16,000 feet above sea level. Newcom donated a year’s worth of satellite Internet access to a village school and partnered with two nonprofits to install the equipment and train people to use it. 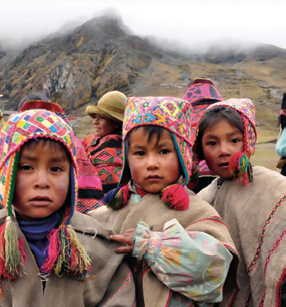 Willka Yachay is a Peru-based nonprofit that is dedicated to helping indigenous communities thrive in the modern world without sacrificing their cultural traditions. The other nonprofit, Kidnected World, provides online creative tools to connect young people around the planet. The city of Puebla in southern Mexico is world’s away from the village of Qocha Moqo. Home to 1.4 million people, Puebla is the capital of a rural state with an economy that mixes the manufacturing of machinery and equipment, automobiles and furniture with the agricultural production of eggs, coffee, beer and beans. However, two-third of public schools in Mexico still lack Internet access and many of Puebla’s rural schools are among them. Fortunately, a Mexican nonprofit, Entrepreneurs for Technology in Education (UNETE), is doing something about this need. For a Puebla school, UNETE provided computers and a WiFi network and Newcom contributed the satellite connectivity and systems that, for the first time, put 90 students and teachers online. construction, administration and curriculum development. international field trips. Photo is courtesy of Wilka Yachay. Over the past 16 years, UNETE has made is possible for 2.3 million students to access modern technology in Mexican schools and the two organizations hope to duplicate the Puebla model at hundreds of schools throughout rural Mexico. There are an estimated 3 billion Internet users in the Connected World. Another 6 billion additional devices now connect to the Web, forming the leading edge of the fast-growing Internet of Things (IoT) that Ericsson predicts will total 26 billion by 2020. More than 4 billion people, however, still live in the Unconnected World. Thanks to satellite, the next generation living there will have greater opportunities than any generation that came before them. 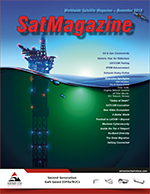 This feature was produced for SatMagazine by Space & Satellite Professionals International (SSPI). Organization for Economic Cooperation and Development, Household Accounts (https://data.oecd.org/hha/household-disposable-income.htm) “Standing Still but Going Backwards,” The Economist, January 21, 2014. UNETE.org., Global Internet Report 2014, The Internet Society. “How Many Things Are Currently Connected to the Internet of Things?” by Rod Soderbery, Forbes, January 7, 2013. “Connected Devices to Reach 26 Billion by 2020,” TelecomPaper.com, June 3, 2015.